John’s preaching and baptizing in the wilderness became a great spectacle. Curious people came from miles around, even from Galilee, to watch and listen to him. As we have discussed in previous lessons, the Jews practiced ritual immersions upon conversion and before high holy days for purification purposes, so John’s baptisms were both strange and familiar. The Law of Moses is built around repentance, with an emphasis on restitution to the victims of our wrongdoings. The Jews understood that their sins were transferred to the animals they sacrificed as part of their repentance. On the Day of Atonement (Yom Kippur) in the fall, blood atonement was emphasized. But there is nothing in scripture that says John taught his followers to go offer sacrifice in the temple. John himself was a Levite and could have been working in the temple. He seemed to be offering another way to repent, sending people to seek the Savior and make themselves worthy of the Gift of the Holy Ghost. No wonder both the Pharisees and Sadducees were angered by John’s ministry and sent spies to watch him. He was upsetting the whole order of things. People seem keen to point out that John was eating from locust trees and not eating grasshoppers. This might be comforting to us, but it’s not the truth. These kinds of insects are kosher to eat according to the Law of Moses, and John ate them. The Jews considered themselves the Chosen People, and though they were oppressed and scattered, felt they were favored among all of the earth’s peoples. John chided them and said their heritage meant nothing if they were unrighteous, and that all could be numbered among the Children of God, if they were righteous. Jesus had come for the very purpose of being polarizing and controversial, in order to separate the righteous from the wicked. When there is opposition, it forces choices upon us, and we show our true colors. The “fan” is the sifter that sifts the grain from the chaff; the chaff is then burned and the grain saved. A biblical proof that the Godhead consists of 3 separate beings and not a trinity. We can’t know if Christ’s wilderness sojourn was 40 days, because the Jews used the number 40 as a catch-all to mean “a really long time.” But it must have been an eventful time and it would be amazing to have an account of it. 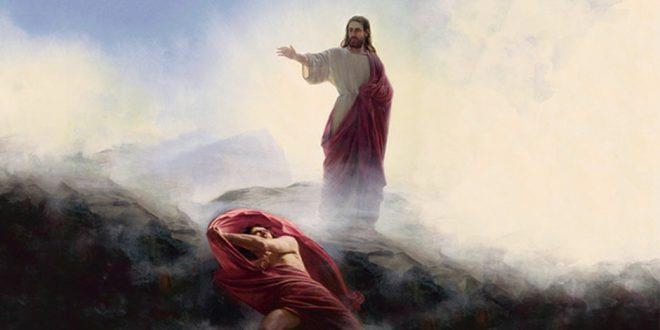 Not only was Christ directly confronted and tempted by Satan, but he was among the animals (and may have communicated with them) and was ministered to by angels. 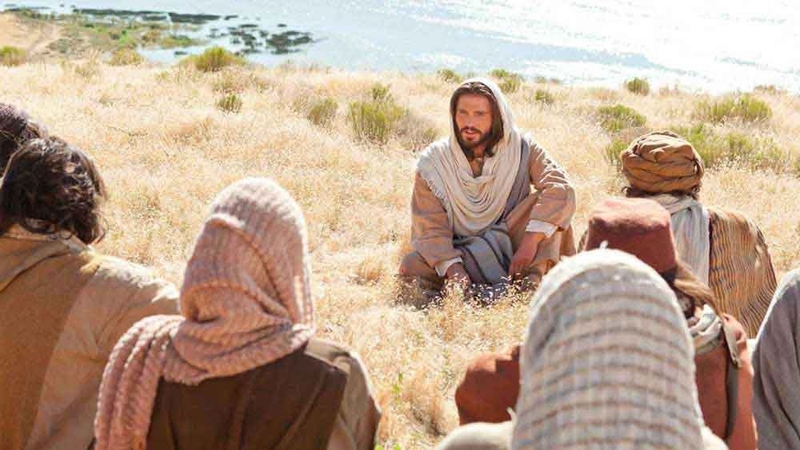 Surely, He learned a great deal through direct revelation during this experience that prepared Him for His mission. Surely, He was in the Judean wilderness, which is desert, although there are oases, and He could have been succored if He was unable to bear fasting for the entire time. John was put into prison by Herod Antipas, the son of Herod the Great. He was Tetrarch of Galilee and Perea. John was sentenced to death and then beheaded after John rebuked him for divorcing his wife, Phasaelis, and unlawfully taking Herodias, the wife of his brother Herod Philip I. Jesus and John had a deep bond with one another, but we don’t see them together much in the scriptures. Some scholars think Christ was a disciple of John the Baptist. That would have been backwards, but Christ could have sojourned with John before He was baptized or spent time with him when they were children. There is just no record of these things. The Jewish people may have visualized Jesus as a scribe when they heard Him preach and teach from the scriptures. The Scribes appeared during the Babylonian captivity as the Jews lost their ability to speak Hebrew and began to speak Aramaic, the language of Assyria and Babylon. Later, the Jews had needed to learn Greek. The Scribes wrote up legal documents, but they also read Hebrew and understood the scriptures. They taught them to the Jews. They could be of any opinion, so the Jews were used to a variety of ideas coming from the Scribes. But Jesus knew. He taught with authority even those things that would have been mysteries to the scholarly Scribes. As Jesus preached in Galilee and healed people and drove out evil spirits, His fame began to spread. In verse 44, he commanded a healed leper NOT to say anything, but to show himself unto the priest. When a person had leprosy according to the Law of Moses, it was the priest who decided whether the person had to be isolated. In the book of Leviticus there are rules both for identifying leprosy and cleansing from it (Leviticus 14). So, in order to be able to go back into contact with other people, the recovered leper needed to present himself to the priest, who would examine him. Christ’s fame was noised abroad, and soon the crowds were so great, He couldn’t enter into the cities (mostly Capernaum), but had to teach in the wilderness, where He still attracted great crowds. The family of Annas in Jerusalem were Sadducees and extremely wealthy. At the time, you could purchase the position of high priest from the Romans. Annas was the high priest, as were several of his sons in turn, and then Caiaphas, his son-in-law.